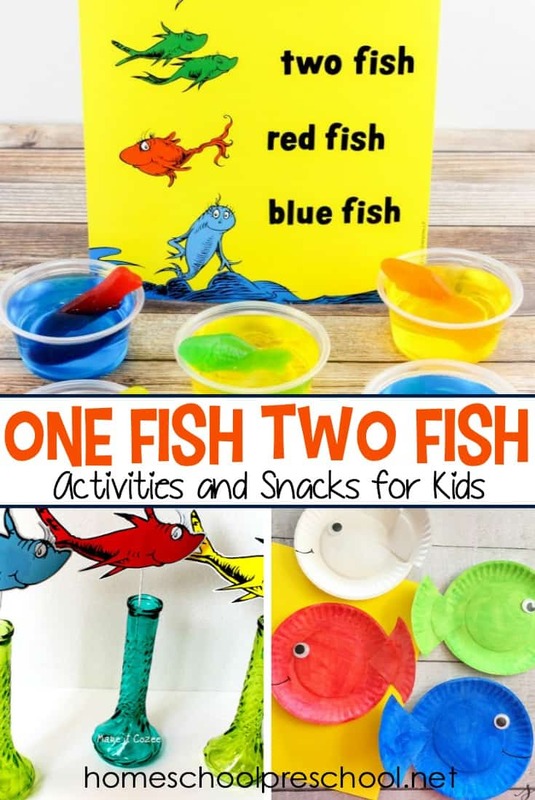 Dr. Seuss Day is the perfect day to try one or more of these One Fish Two Fish activities and snacks! They’re perfect for homeschools and classrooms. Dr. Seuss Day is March 2 – Dr. Seuss’s birthday! Whether you’re celebrating that day or just looking for something fun to do after reading One Fish Two Fish Red Fish Blue Fish with your preschoolers, you don’t have to look any further. 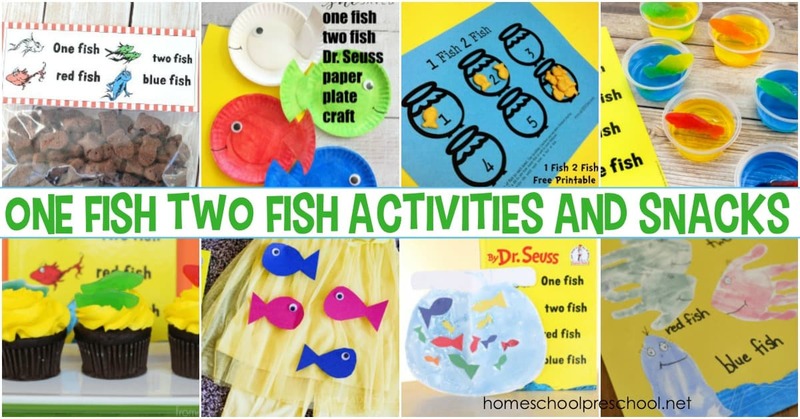 These One Fish Two Fish activities for preschoolers are just what you’ve been looking for. From snacks to crafts and more, there’s something fun on this list for everyone! Dr. Seuss books are classics and are treasured by children and adults alike. They great for teaching kids about rhyming words and for practicing basic preschool skills like counting, colors, and the alphabet. 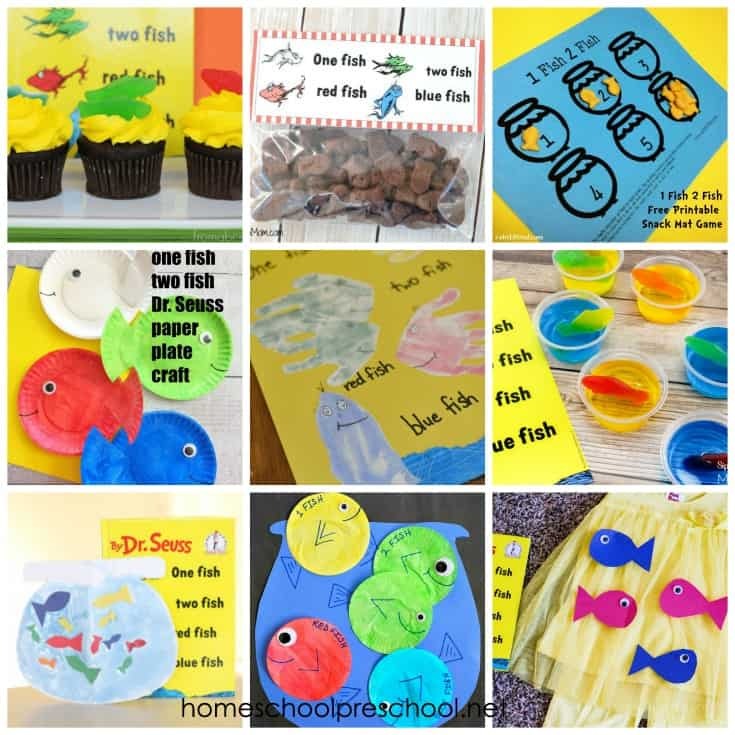 Extend your learning time with one or more of these fun activities that go perfectly with Dr. Suess’s One Fish Two Fish. 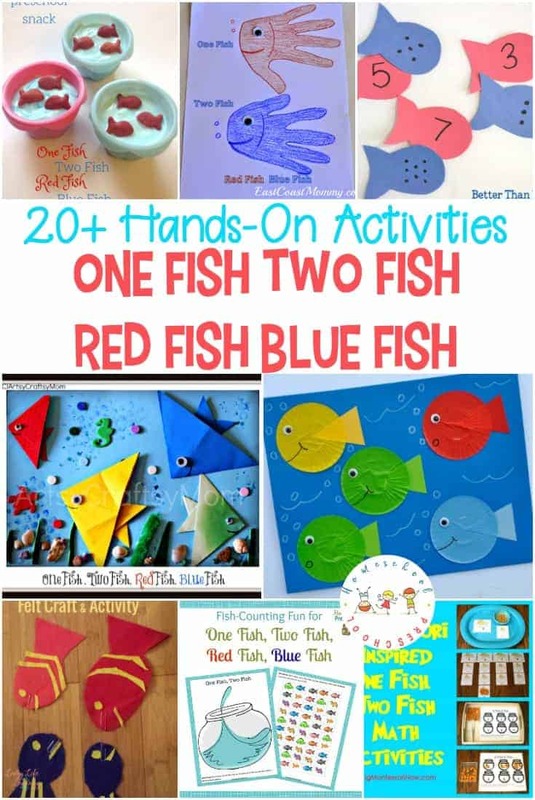 Your preschoolers are sure to love these One Fish Two Fish Red Fish Blue Fish activities! Each one features hands-on, low-prep Dr. Seuss-inspired fun. Practicing rhyming words doesn’t have to be boring! 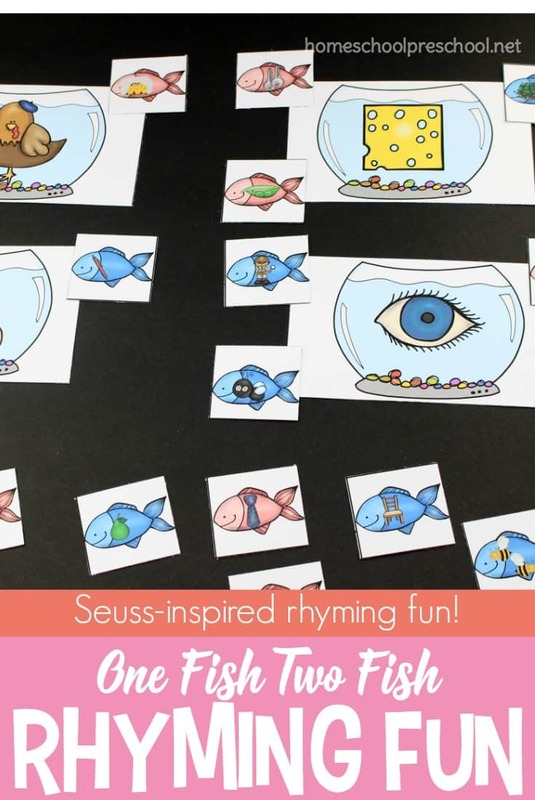 Change things up with this pack of One Fish Two Fish rhyming activities. It’s perfect for your homeschool preschool literacy lessons. 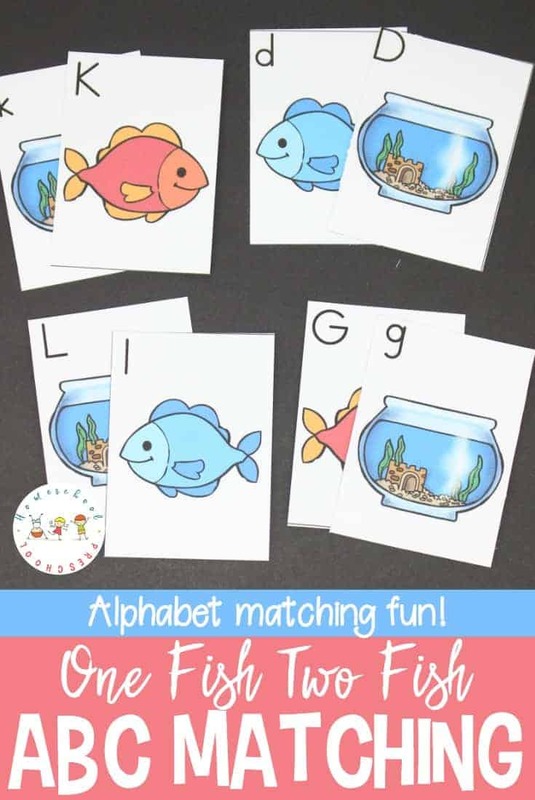 Have fun with these One Fish Two Fish printable alphabet matching cards! Preschoolers will work on letter identification and matching.